I am an introvert, happy to spend time alone with myself and able to feel fulfilled by just a few special friendships/relationships. That being said, i’ve met my share of the ‘wrong’ type of people whose values don’t align with my own. Over the years, i’ve weeded them out and am left with only two individuals outside of my family who i love with all my heart. And that is a perfect number for me. As suggested in the poem below written by r.h. Sin, my experiences with others, failed or not, have guided me in the direction i’m currently going in today. For that i am thankful. I’ve included the poem below. 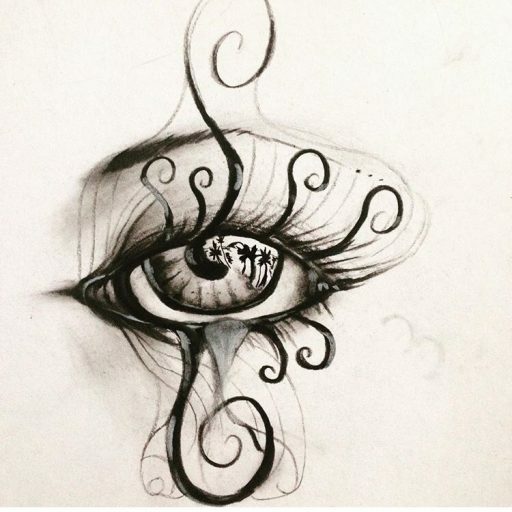 What do you think about this piece? Who are some of your favorite poets? I know your feelings and feel much the same myself. It’s hard to pick a particular poet from amongst the millions of great poems, but some poems stand out amongst the rest. I think “The Road not Taken” and “Stopping by Woods on a Snowy Evening” from Robert Frost have themes underlying the direct imagery that I can relate with. Next to that I find poems from everyone from Dickinson to Emerson to Sexton and even Lord Byron that fill that niche. 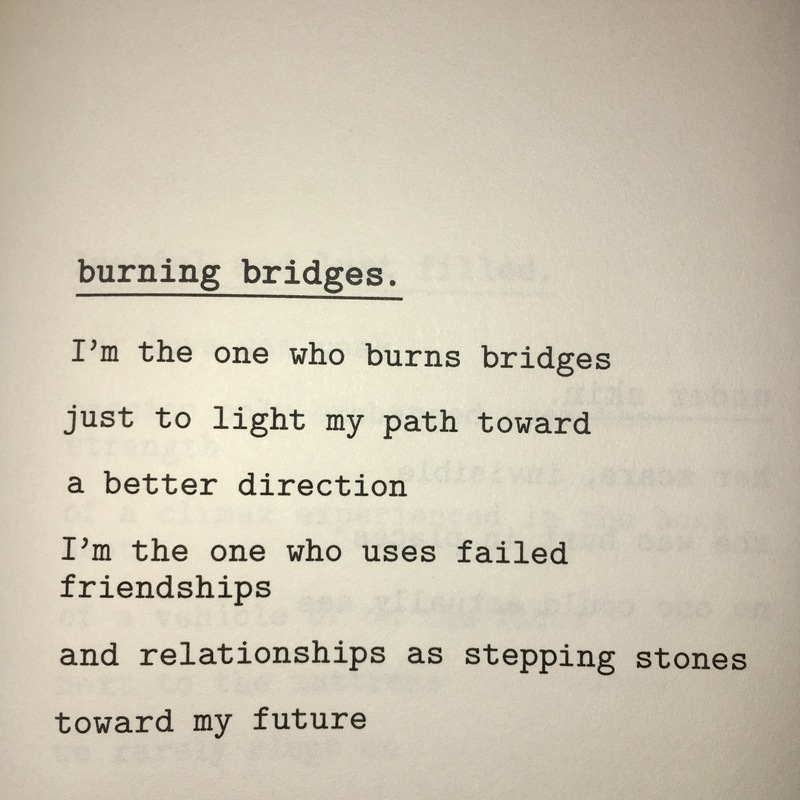 I think this poem, while overtly simple, speaks silent volumes about the painful determination required to perform the act of burning bridges in such a fashion. No friendship or relationship is light-heartedly snuffed out. There will always be a sense of loss. I am so glad that you appreciate the poem. You are right, letting go of people can truly hurt. Hopefully it’s for the better.